Nature magazine covers the Fish Face ID tunnel from Refind! 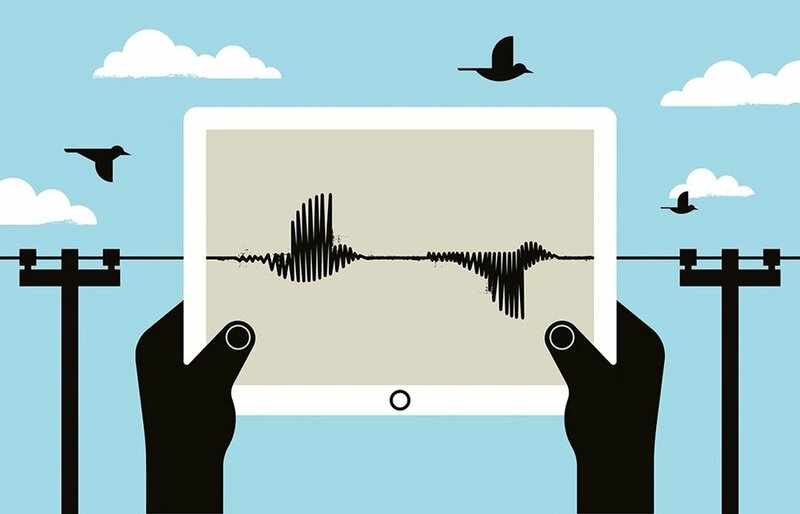 As part of the Nature magazine’s Toolbox section, Refind is featured as one of few companies using AI to empower conservation scientists. The article covers different AI tools for audio and visual recognition and how to learn more about machine learning in general. The full article by Roberta Kwok here. Nature is the world’s largest journal about natural sciences and was founded in 1869. FISH FACE - successful installation on-board! The Fish Face project is in its final phase, and the first Fish Face unit has now been successfully installed on-board a fishing boat in Kupang, Indonesia! Amir from Refind struggled with everything from expected challenges like lack of electricity and internet connectivity availability, to more unexpected problems like cable-chewing mice and timing of the tide. Since July the Fish Face Unit has been used at a local fishery site in Kupang to collect images of different fish species in order to build up a large database of the local fish species. Thousands of images have been collected and there is a first “classifier” installed now - able to recognise about 65 different fish species. This software will be updated continuously along with an increased number of collected images. The Fish Face Unit was, as planned, installed on the deck on a local fishing boat. Deck space is very limited and so is the access to constant electricity or internet. 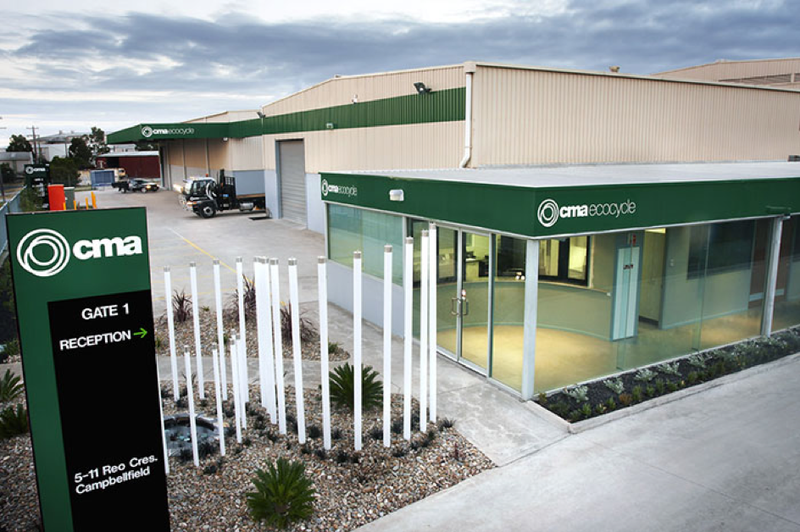 We have solved this by adding a power supply and a cloud based data storage solution to which information can be uploaded when possible. The activity of classifying fish is not real-time dependant and can be performed when possible. The geographical location tagging will however be done at the actual time when the photo is taken, so the GPS data collected is not depending on internet access. All classifications are stored with their species name and GPS tags, and we have also added the possibility to do quality checks by connecting to a webpage where the latest classifications can be viewed. This will give both fishermen and the staff of The Nature Conservancy a transparent and easy process to overview and improve the performance. In the table above the classifications are listed and an image is shown from the actual Fish Face unit next to the label image of the classification performed. 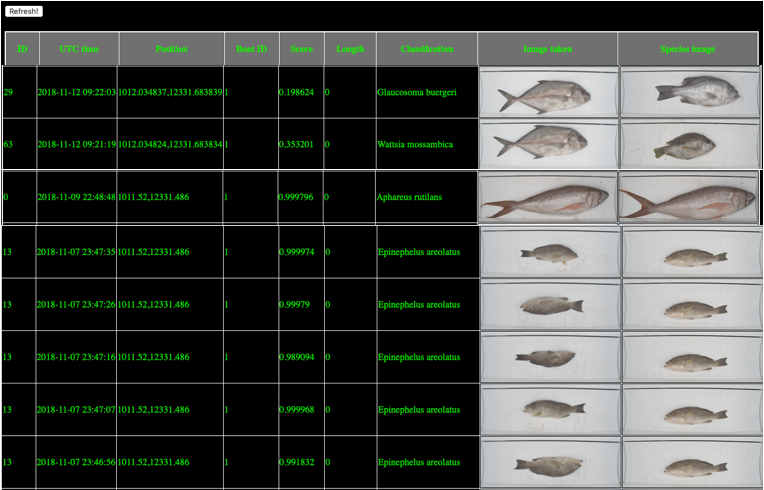 Later on a segmentation functionality will be added, where the fish length will be calculated. The system also allows for handling input from many different image sources (boats). The next phase of the project will focus on evaluating the equipment and overall solution, and aim to expand the project into installing more camera units on more boats and expand the operations. 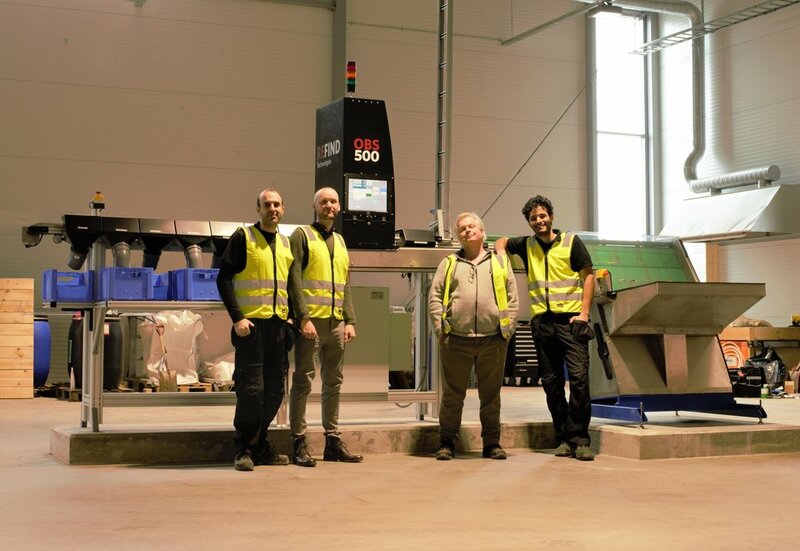 Refind sells battery sorter OBS500 to Batteriretur in Norway! We are happy to announce our latest customer, AS Batteriretur, located in beautiful Fredrikstad in Norway. We have agreed to deliver the latest version of the Optical Battery Sorter, the OBS500 with the new step feeder functionality, in the beginning of April 2018! 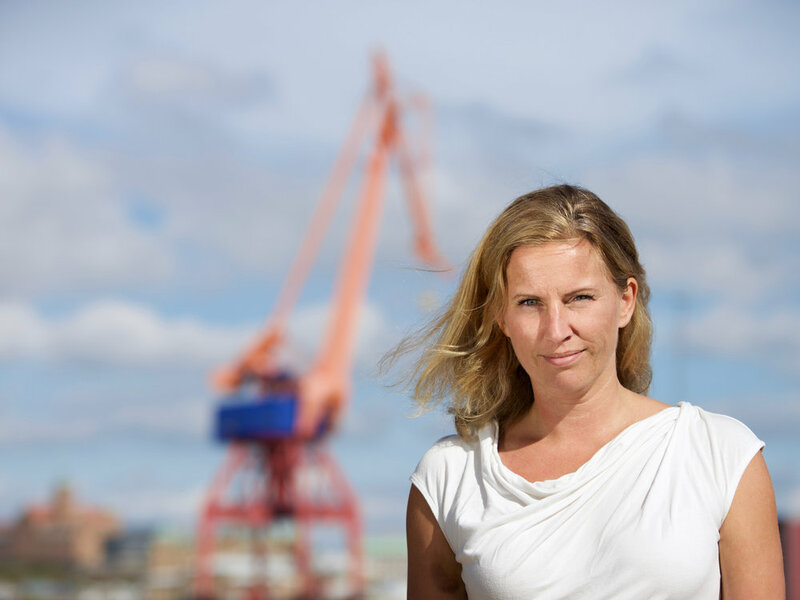 The OBS500 will be installed as one of several many new machines and equipment at the modern Fredrikstad facility, that is being partly moved into already, partly still being built by Batteriretur. Batteriretur handles about 80% of the Norwegian waste batteries, and are making great investments in both sorting and processing technology for batteries, anticipating higher needs for battery recycling in a country where many of the vehicles have turned electric. For us at Refind, it is our second Norwegian project, the first one was the Battery Refund Machine launched with Energizer at Coop Norway during the spring of 2017. We are happy that the Norwegians are eager to stay ahead of the latest battery related technology! The OBS500 will be able to sort 500 kg of waste portable batteries per hour. The new feeding solution allows a smaller footprint as well as less parts, which facilitates shipping, installation and maintenance. We are excited to see the new machine in production during the spring! And here is what the press is saying about this latest news! Last summer in Niagara Falls - the OBS600 installation at Raw Materials! 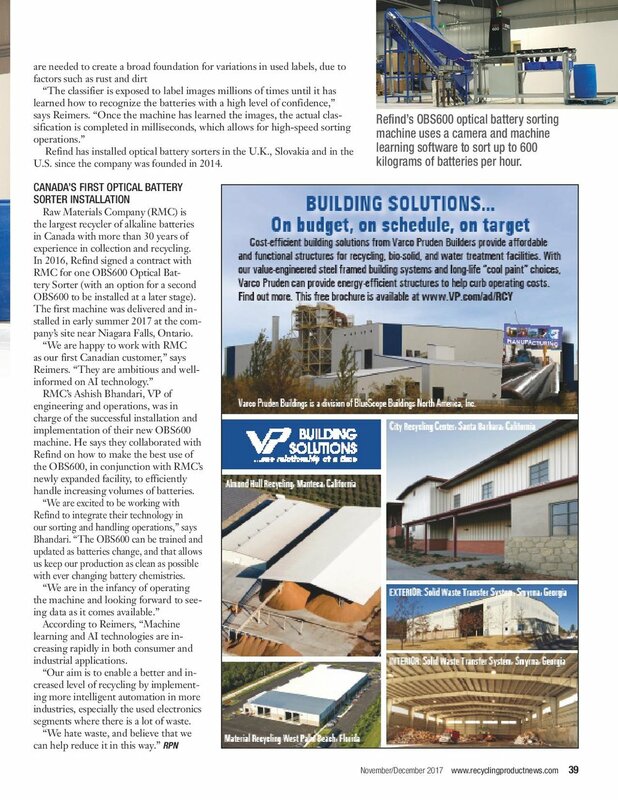 The magazine Product Recycling News have written a nice article about the Optical Battery Sorter installation at Raw Materials Company in Niagara Falls, that took place in the early summer of 2017. Both Ashish Bhandari, the CTO of Raw Materials, and Johanna Reimers, the CEO of Refind, were interviewed. Read the article below or on the magazine online page! Swedish press coverage about Refind! The Swedish newspaper Göteborgs-Posten has written a nice piece about our CEO Johanna Reimers and about our technology - read it here! New generation battery sorter, OBS200, goes to Slovakia! We are happy to announce our latest sale - of a new product to a new customer - an OBS200 that goes to Elektro Recycling in Slovakia! The OBS200 will be a smaller version of the OBS600, capable of sorting 200 kg/hour, with a smaller footprint and price tag, but just as high sorting quality!